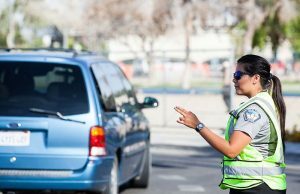 The Traffic Enforcement Unit (TEU) consists of three full-time motors units, one full-time and four part-time Transit Enforcement Officers. They are responsible for investigation of traffic collisions and traffic related crimes/incidents. The TEU is also responsible for the enforcement and maintenance of all parking meters located at the city’s business area. They are also responsible for traffic control device set up and the control of traffic on Main Street. The motors units currently operate 2014 STC1300 Hondas and 2005 Harley Davidsons. All meters accept credit/debit cards and coins including currency from Mexico. Time limits at metered locations can range from 6 minutes to as long as 6 hours. The parking time limits are posted on each meter. Parking longer than the allowable limit may result in a fine per San Luis City Code 72.36. The City of San Luis operates approximately 90 parking meters in the downtown area. The goal of good parking management is to regulate the parking spaces in a manner that ensures that a percentage of spaces are available at any given time for short term parking. When is metered parking enforced? All meters are enforced daily from 8:00 a.m. to 9:00 p.m., including weekends and holidays. During this time, meters cost .50 per hour. What types of coins and credit/debit cards are accepted in meters? The only coins accepted for payment in meters are nickels, dimes, and quarters including coins of $5.00 and $10.00 pesos from Mexico. The only credit/debit cards accepted are Master Card, American Express, and Visa. Who should I contact if my meter is broken? Please call (928)341-2420 Monday-Sunday or email slpdinfo@cityofsanluis.org and report it as a broken or malfunctioning meter. 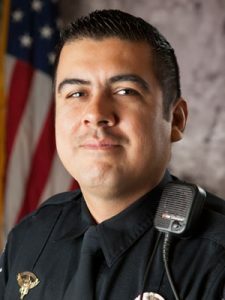 What should I do if I get a ticket? Please pay it by following the directions on the ticket or envelope. If you believe it was issued in error, you may contest the ticket. 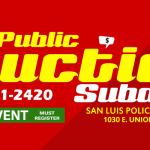 Instructions for challenging a ticket can be found on the ticket, or for more information contact the San Luis Municipal Court on weekdays from 8:00 a.m. to 5:00 p.m. at (928)341-8595.